One of the advantages of rebooting an entire blog is that you get to write about some of your favourite things again. Like so: About a year ago, I posted about the amazing Radio Times posters by Stuart Manning for series eight of Doctor Who. 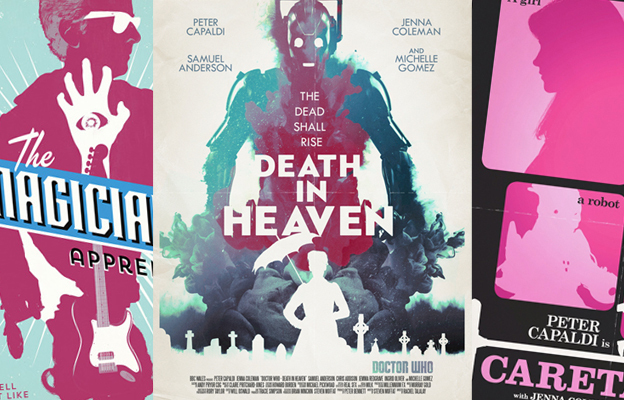 Then, at the end of last year, I posted about his (also amazing) posters for series nine – something that ultimately sent me into a Doctor Who-themed designing spree myself (see here). Before I start posting artworks of mine that have nothing to do with that initial Doctor Who batch, I don’t want to miss the opportunity to share Stuart’s beautiful work once more. The pieces are still great. 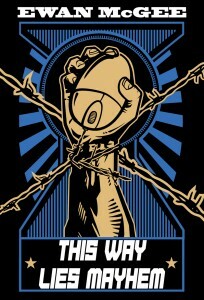 They are still taking stylistic cues from vintage movie posters, pulp novels and book covers. They are still available in exchange for currency here. It’s still a splendid idea to decorate your walls with one or more of these if you are a Doctor Who fan (or just like really cool things in general). And you can still follow Stuart on Twitter @stuart_manning.